Two men were taken into custody Friday less than two hours after a SWAT team responded to multiple gunshots fired inside a house in the Sunset Cliffs area, police said. 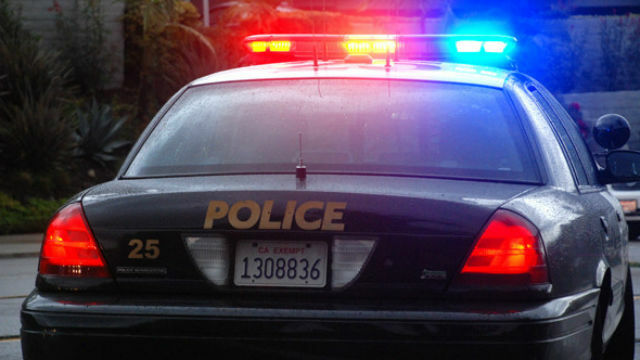 Dispatchers received reports shortly after 12:20 a.m. from a 911 caller who heard glass breaking and a man and a woman yelling inside a house in the 1000 block of Devonshire Drive, located just off Hill Street, San Diego Police Officer Steve Bourasa said. Officers responded to the residence and a woman told officers a man in the house had a gun, but no gun was seen, Bourasa said. As officers were talking to the woman, multiple gunshots were fired from inside the residence and officers called for assistance from a SWAT team, Bourasa said. Police closed Devonshire Drive at Novara and Guizot streets along with Hill Street during the incident. One of the men surrendered and was taken into custody around 1:30 a.m., Bourasa said. The other man surrendered shortly before 2 a.m.
Officers searched the house and found three weapons, Bourasa said. John Dorfi, 39, was arrested on suspicion of assault with a firearm, resisting arrest, making criminal threats and illegal discharge of a firearm, Sgt. Michael Stirk said. The other man was released.